As we enter the New Year, it is important to review your life insurance policy (or policies) to ensure that your premiums are timely paid in full. Following a recent New Jersey court decision, it is particularly important that you do not allow your life insurance policy to lapse for failure to pay your premium. It is a reminder to us all that if your premium lapses after the reinstatement period and you pass away, your insurance provider is under no obligation to pay the policy’s benefits. In Nationwide Life Ins. v. Thompson, the New Jersey Appellate Division held that the life insurance provider had no obligation to pay the benefits on a lapsed life insurance policy after the policyholder failed to reinstate the policy’s premium prior to the reinstatement date. After notice from the insurance company that reinstatement was due and the reinstatement grace period was set to expire, the policyholder failed to pay the premium in full. The policyholder died two days after the grace period expired. Despite the policyholder’s wife mailing a check for the lapsed premium after the policyholder’s death, the Appellate Division held that the life insurance policy had lapsed and no benefits were payable to the policyholder’s widow. Life insurance policies are often an integral part of an individual’s estate plan. The purpose of having a life insurance policy is to provide a benefit to your designated beneficiaries in the event that you pass away. Life insurance policies are “non-probate” assets that will transfer on the death of the policyholder and under current law in New Jersey provide tax free transfers upon the death of the decedent (on estates under eleven million). The policyholder may also designate his or her estate as the named beneficiary, thus allowing the benefit to be distributed in accordance with the policyholder’s will. 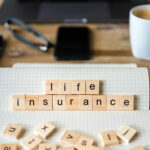 Either way, life insurance policies are a common and useful estate planning tool. If you have a life insurance policy, the Nationwide case presents a helpful reminder that insurance policy premiums must be paid because they are time sensitive. If premiums are not timely paid, the insurance company is under no obligation to pay the benefits to the policy’s beneficiaries. Accordingly, the law firm of Puff & Cockerill reminds all individuals with an insurance policy to review their policy premium due dates to make sure payments are timely. A common question asked by our clients is what happens when my parents die with debt? The answer is, generally, you are not liable for your parents’ debt unless you have personally co-signed a loan or account with your parent. Without co-signing on your parents’ debt, the debt becomes part of your parent’s estate. What Happens When My Parents Die with Debt and they HAD A WILL? The result is essentially the same. The executor (if your parent died with a will) or administrator (if your parent died without a will, i.e., died intestate) is responsible for marshalling the assets of the estate and handling the debts of the estate. If the estate is insolvent (i.e., debts are greater than the assets of the estate) after selling all the assets of the estate, it does not mean the executor and/or the beneficiaries of the estate are liable for the outstanding debt, so long as they did not co-sign the debt. 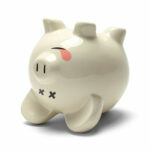 Common debts among seniors include housing (mortgage) debt, outstanding medical bills, credit card debt and auto loans. Debt can range from $1,000 to greater than $100,000. Regardless of the size of the debt, it is the responsibility of the executor to determine the total debt. It is not the responsibility of the executor or administrator to inform creditors that the decedent passed away. Creditors have nine months following the date of death to make a claim against your parent’s estate. Absent fraud, when the nine-month period ends, creditors may be barred from submitting a claim against your parent’s estate. (This is a complicated area of the law and your lawyer should be consulted). If the estate is unable to pay all the debt, the debts usually remain unpaid and creditors will be forced to bear the loss. How Many Seniors Die With Debt? Recently, there is a growing number of seniors with debt. According to a report from the Employee Benefit Research Institute, 49.8 percent of families over the age of 75 have debt. The average debt for these families is $36,757. As a result, senior debt is a common issue when administering your parent’s estate. If you believe your parents or loved ones may die with debt, please feel free to contact the estate administration attorneys at the law firm of Puff & Cockerill LLC to determine the extent of the estate’s liability. If you are named the executor or file with the surrogate court to be appointed administer of your parent’s estate, you may wish to seek experienced counsel. 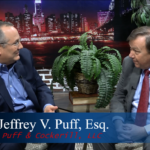 Our own Jeffrey Puff recently shared his views on the topics of Estate Planning and Elder Law during a taping of “Justice for All with Casey Price” on the RVN Televison Network. Mr. Puff discusses the “art of the will” as part of the estate planning process as a whole and the benefit of proper planning to avoid problems in the future. Mr. Puff also discusses the reasonable cost of drafting a will as part of your estate plan and the benefits of preparing an estate plan with an experienced estate planning attorney. Additionally, Mr. Puff discusses the cost of estate litigation and how litigation may be properly avoided through proper planning. Additionally, Mr. Puff discusses the probate process in New Jersey, including the distinctions between probate property and non-probate property, as well as, how this distinction between can alter the distribution to beneficiaries. Mr. Puff also explains the powers granted under a power of attorney and the importance of naming a trusted individual as your agent under your power of attorney. Mr. Puff and Mr. Price also discuss topics in Elder Law, including guardianship applications in New Jersey and how having a proper estate plan with a power of attorney can be a cost-effective alternative to having to file a guardianship application with the court. Mr. Puff further explains common issues in Estate Litigation, such as undue influence and fraud claims. With elderly individuals, there are often issues of mental capacity and dementia. Lastly, Mr. Puff discusses what happens when an individual dies without a will and the specifics of the distribution an estate when the decedent dies without a will in New Jersey. Casey Price is a partner in the law firm of Price & Price, LLC, located in Haddonfield, NJ.